Buy LED Pole lights, LED parking and street lights for your outdoor requirements. LEDRadiant can provide a solution that will reduce your energy consumption, reduce your maintenance costs and ensure green compliance. LED Street and LED Parking. Bring a uniform lighting experience to large spaces. LED parking lot lights and Street lighting help create a sense of safety and security. At the same time, maintenance and energy costs are also minimized. Shadows are reduced, and security cameras operate more efficiently. Choose from our OMA or PAL fixtures series to brighten any parking area or street. 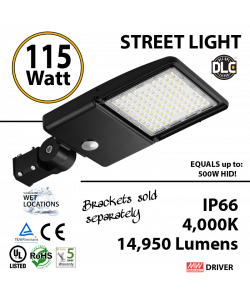 These long-lasting LED lights are also great for walkways, outdoor sports areas, campuses and parks. 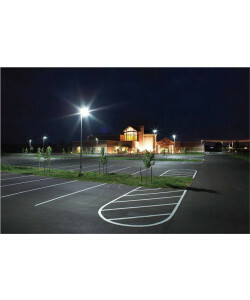 Compare and buy outdoor LED fixtures for street lighting, parking lots and pole-mount applications for your commercial lighting project or retrofit. We have a wide selection for use in outdoor lighting applications, including LED pole lighting, LED streetlights, and LED parking lot light fixtures. LED area lighting is very common to replace metal halide systems and lasts 50,000+ hours. LED parking lot lights and Street lighting help create a sense of safety and security. At the same time, maintenance and energy costs are also minimized. We have a wide selection for use in outdoor lighting applications, including LED pole lighting, LED streetlights, and LED parking lot light fixtures.